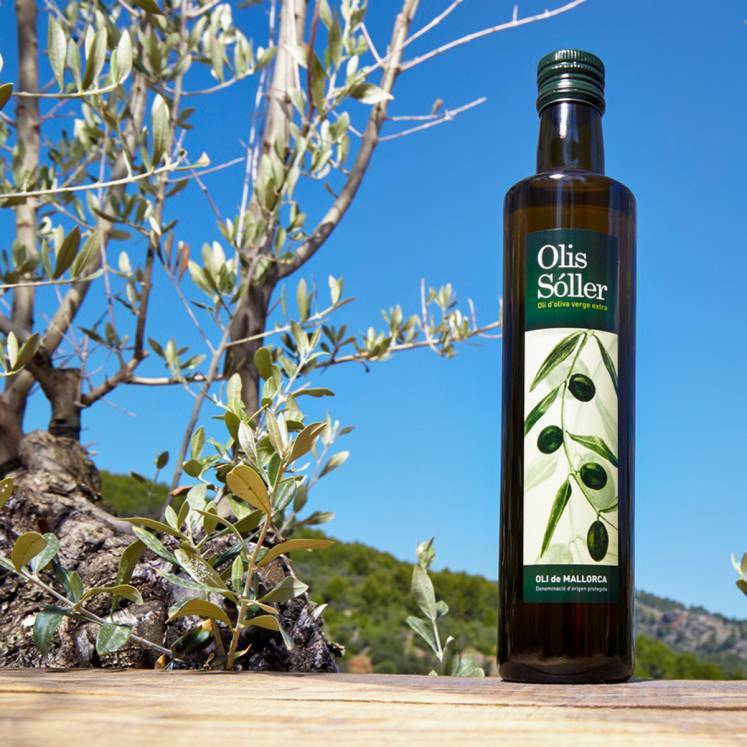 The native olive oil extra (extra virgin) has a high quality, is freshly pressed and bottled in Sóller. The fresh, aromatic and slightly sweet olive oil in the dark bottle (500ml) also could be used as a nice present. With guarantee of origin: oli de mallorca D.O.